Q. 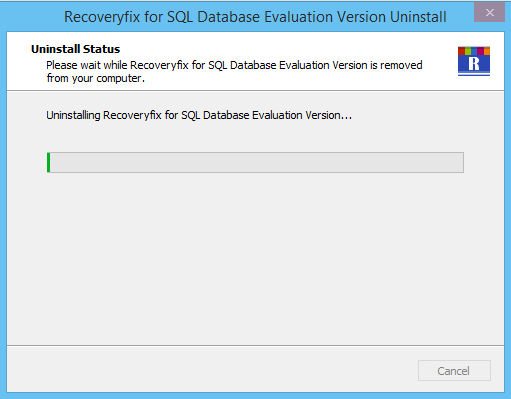 Does the software support recovery from MS SQL Server 2008 R2? A. Yes. 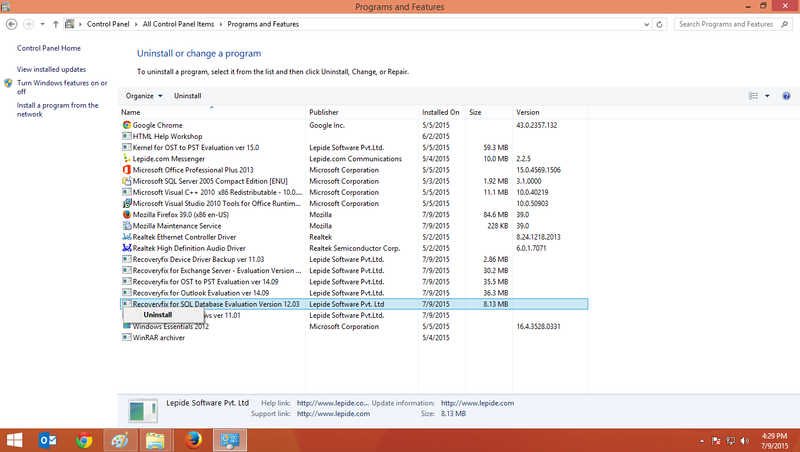 The software is completely capable of recovering data from MS SQL Server 2008 R2. 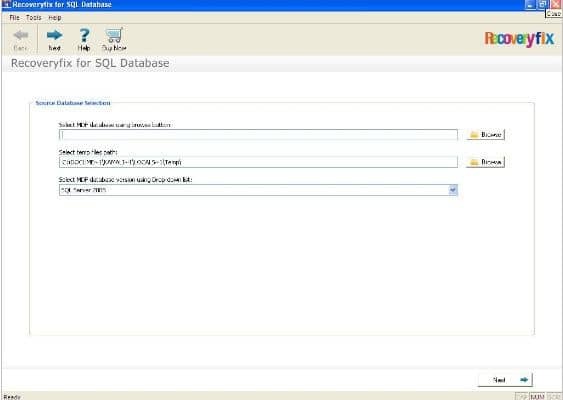 The software also supports other versions of MS SQL Server including 2000, 2005, and 2008. Q. 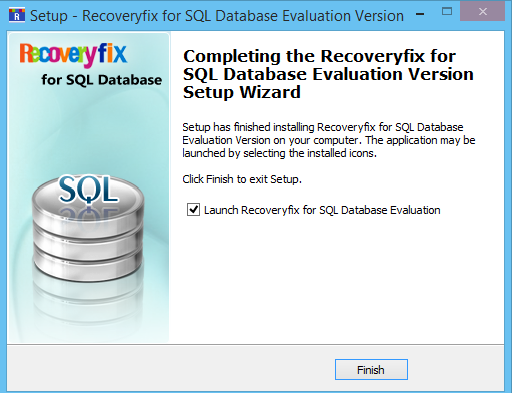 Is Recoveryfix for SQL Database Recovery tool capable of recovering data from large-size SQL databases? A. Absolutely yes. The software is embedded with advanced algorithms to perform quick and accurate data recovery even from large-size SQL databases. Q. Does the software retains properties of original files after recovery? A. Yes. The software is smartly programmed to retain configuration and properties of SQL database objects after recovery. Q. 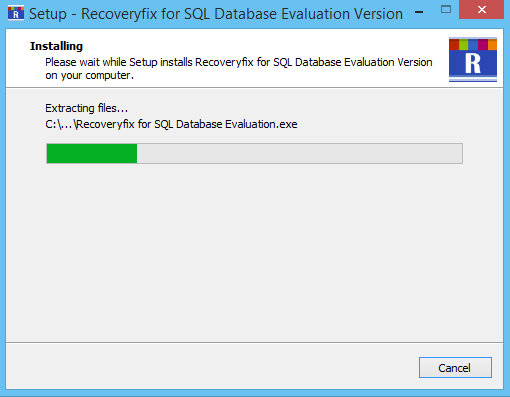 Is it possible to save the recovered SQL data directly on a live SQL Server? A. Yes. 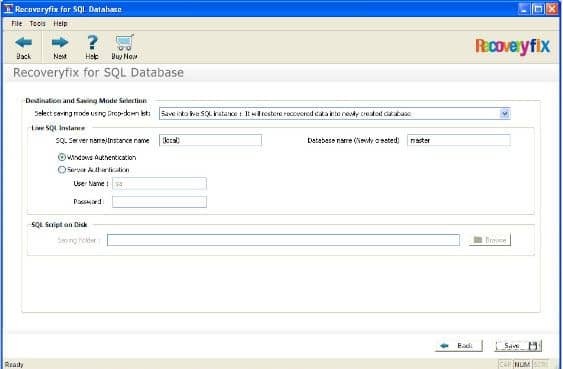 The software provides you option to save the recovered data directly on a live SQL Server. At the time of saving the recovered data, select Server Mode option and provide server details, and the software will save the recovered data at the specified server. Q. Does the trial version and full version share same features? A. Trial version and full version have the same set of features except one. Trial version of the software cannot save the recovered data. You would need the licensed or full version of the software to save entire recovered data.